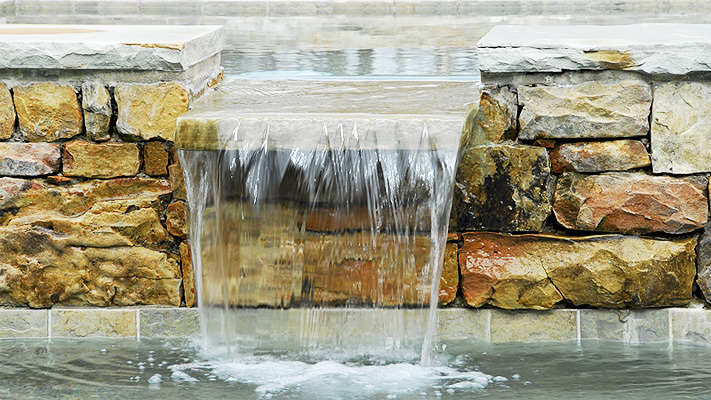 We love creating wonderful things with water, like pools, spas and fountains, but what we love even more is creating a beautiful outdoor sanctuary that you and your family will enjoy with friends for years to come. Nothing keeps guest more engaged than good food and great conversation which is why outdoor kitchens are becoming increasingly popular. Your guests gather around the outdoor bar laughing and talking as a pizza is put in the outdoor pizza oven. Mouth-watering aromas waft through the backyard while the tranquil sounds of a water feature offer quiet background ambiance. As the sun sets, the ambiance notches up as soft lights pop on and a fire is started in the fireplace. Outdoor kitchens give homeowners endless entertainment options because a great outdoor kitchen is the heart of the backyard. Think about it: when a party is set indoors, where does everyone congregate? The kitchen! And when that kitchen is outdoors, everyone gravitates to its warm and inviting atmosphere as well. Outdoor kitchens can sparkle with style when they include elegant stainless steel cabinetry, full-service bars, granite countertops, as well as a variety of professional equipment such as refrigerators, wine chillers and pizza ovens. 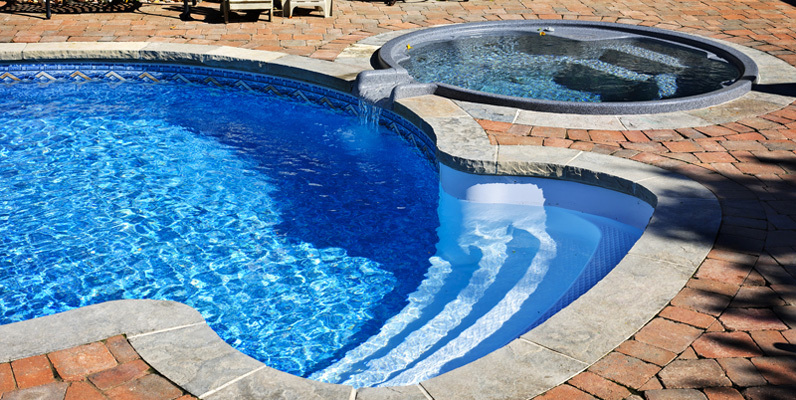 Accurate Pool & Spa has been designing and constructing outdoor kitchens, bars, and fireplaces to complement our custom vinyl swimming pools. Our dedication to our work and our customers is proven through the satisfaction each of our clients receives. 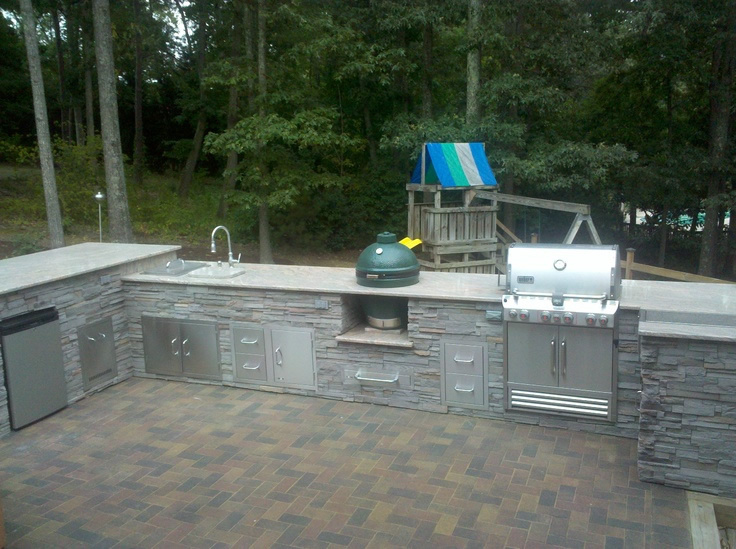 You can be among the many satisfied people we have helped by creating beautiful, durable outdoor kitchens, bars, and fireplaces. 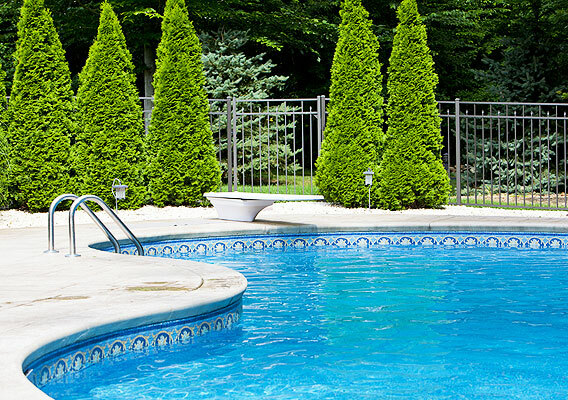 Call Accurate Pool & Spa or fill out our online web form. We look forward to earning your trust. Our designers are eager to hear your plans and come up with a custom design to exceed your expectations. If you can imagine it, we can design and build it! 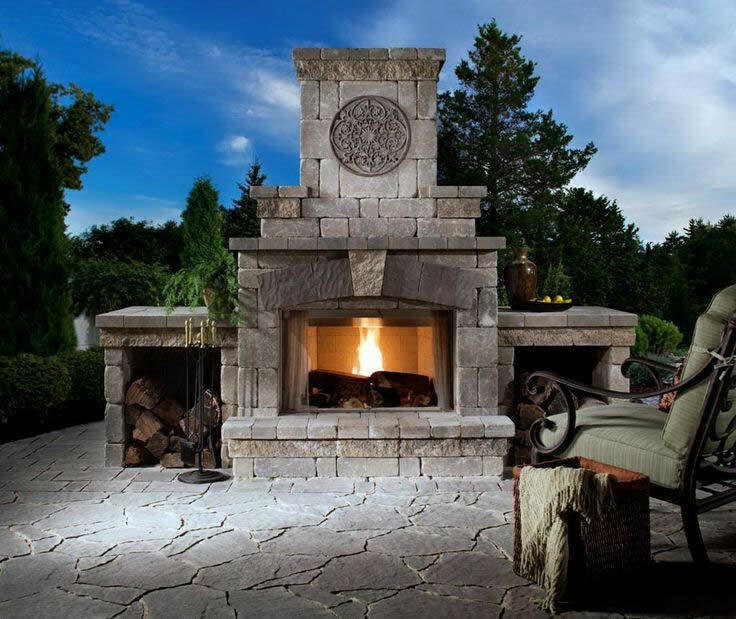 Summerbrook Outdoors is one of our major suppliers of Outdoor Kitchen products like: Kitchen Islands, Fireplaces, Firepits, Pergolas, and Outdoor Living Rooms. Visit their site for inspiration!